It's one thing to complain about mega-corps and worry about peak oil; it's another thing to figure out what to do about it. 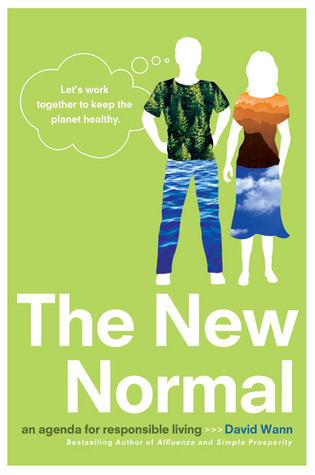 The New Normal looks at what a sustainable life would look like. It looks at (among other things) food, fuel, health, and possessions. It describes why the current way of living isn't sustainable, then offers suggestions for what might be a viable "new normal." In sections entitled "the Heavy Lifting," Wann suggests ways to get a jump on the change right now. If I had to sum up the book in one phrase, I'd say "a practical look at the big picture." The tone is a pragmatic, "we have a problem, so let's stop whining and do something about it." The writing is a serviceable, journalistic style. The layout is no-nonsense, though maybe a bit cramped, consistent with a book that is more about substance than frills. Sign into Goodreads to see if any of your friends have read The New Normal.